SAN FRANCISCO (AP) — Hall of Fame offensive tackle Bob St. Clair, a five-time Pro Bowler with a big personality who played all 11 of his seasons with his hometown San Francisco 49ers, died Monday. He was 84. 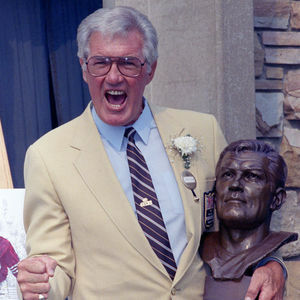 The Pro Football Hall of Fame, the 49ers and the University of San Francisco announced Monday that St. Clair had died. "Bob, you I dearly missed in our home, life will never be the same without you. Your stories will forever be a huge part of our lives. Greg remembers every one. Your grandchildren will know them too. We love you Pop...."
"Bob , you were a great guy and friend to me. I will surely miss chatting wit you at the R3 . Marsha ,you two are great friends and I pray that you will hang ..."